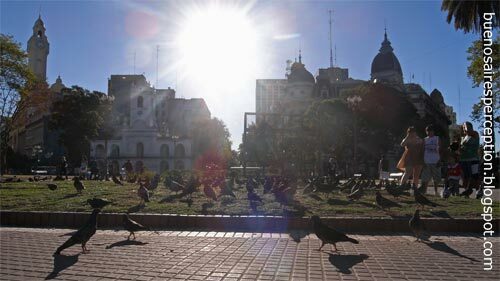 The Invasion of Killer Pigeons at "Plaza de Mayo"
Yes, I'm kidding but they do have pigeons in Buenos Aires too. Yeah, quite a few... and there are even more to come. ;-) The invasion on Plaza de Mayo is because everybody is feeding them. Actually, tourists like them. I'm reading: The Invasion of Killer Pigeons at "Plaza de Mayo"
Footbridge "Puente de la Mujer"
Chess Mates in the "Parque Lezama"
Savoir Vivre at "Café Origen"